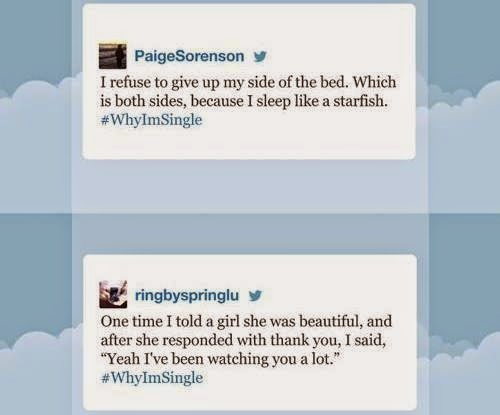 Many people are looking forward to a happy Valentine's Day tomorrow, but not so the #WhyImSingle tweeters. With Valentine's Day around the corner, Singletons on Twitter are listing reasons why they are single as way to make fun of the lover's day. Now Jimmy Fallon has selected his favorites from the hashtag and reads the funniest #WhyImSingle tweets on his show. Are you single? Leave your reason in the comments below!